Carnegie Mellon's Open Learning Initiative (OLI) is cited in this story about new technologies and new approaches that are shaping the education landscape. The Andrew W. Mellon Foundation has awarded Carnegie Mellon a five-year, $2 million grant to use technology-enhanced learning (TEL) to transform and enhance graduate education in the humanities. With a well-established legacy of pioneering TEL and through its Simon Initiative, a strategic, university-wide commitment to use TEL to improve learning outcomes for all students, CMU is uniquely positioned to advance digital scholarship and TEL in the humanities. Carnegie Mellon University will lead a five-year, $5 million early implementation project sponsored by the National Science Foundation to improve educational outcomes and advance the science of learning by creating a large, distributed infrastructure called LearnSphere that will securely store data on how students learn. At its inaugural face-to-face meeting, the leadership of the Global Learning Council (GLC), a consortium of leaders in the field of education from academia, industry and nonprofits, have identified two initial problem statements and action items for collaboration to advance the improvement of learning outcomes using technology. Chaired by Carnegie Mellon President Subra Suresh, the Global Learning Council (GLC) seeks to advance the science of learning with the goal of improving learning outcomes for students around the world at an affordable cost to society. CMU researchers will tap data-driven approaches to improving learning as part of a new Google-sponsored effort to unlock the educational potential of massive open online courses, or MOOCs. Forty-two (42) applications were received from faculty members across the CMU community interested in developing new course content using technology or pursuing a new research path in the learning science domain. Twelve were selected for funding. 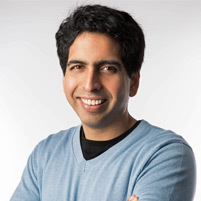 For his mission to provide a free, high-quality education for "anyone, anywhere," Khan, founder of Khan Academy, was selected by the Heinz Family Foundation as a 19th Annual Heinz Awards recipient. In 2013, Carnegie Mellon President Subra Suresh announced plans for a university-wide effort to harness technology to improve student learning worldwide. 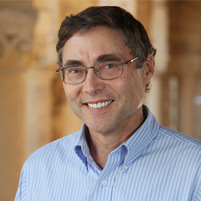 These learning breakthroughs would encompass The Simon Initiative, named after CMU legend Herbert Simon. Just a few months later, the initiative’s impact is making a transformational difference. Unconstrained by conventional thinking, Wieman champions a radical, evidence-based approach for improving learning outcomes, and he has made it his life's mission to change the instructional paradigm for the STEM (science, technology, engineering, and mathematics) fields. 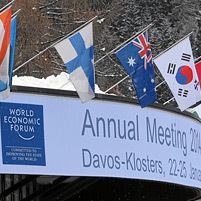 It was hard to miss Carnegie Mellon University's presence at the 2014 Annual Meeting of the World Economic Forum in Davos, Switzerland, which took place Jan. 22–25. President Subra Suresh and CMU faculty moderated or led discussions on the future of education, advanced manufacturing, scientific research and robotics.